Car buyers often assume that the dealer has taken care of any outstanding safety recalls on the car they're buying, but that is frequently not the case and, often, no one does anything about it. But New York Attorney General Eric T. Schneiderman recently corralled 104 car dealers into a settlement that requires them to alert consumers that their cars may have unrepaired safety recalls. 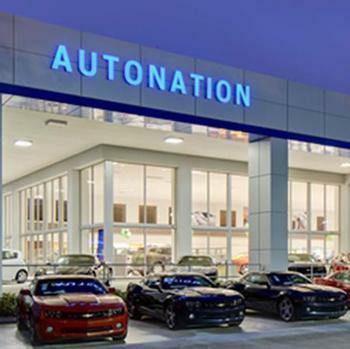 Schneiderman said the dealers have been selling cars without disclosing that they had unfulfilled recalls for problems including unintended acceleration, airbag problems, vehicle fires, and steering and brake loss. “The safety recalls we uncovered were serious — and potentially deadly," said Schneiderman. “Consumers deserve to know of any unresolved safety issues before buying a car for themselves or their family." Dealers that advertise used vehicles online must include information that enables consumers to check the recall status of advertised vehicles; that information includes the SaferCar.gov website operated by NHTSA. Dealers who advertise in print or other media must also disclose in the advertisement that the vehicle is subject to a safety recall. Dealers must place a decal notice in the window of used cars that include information that allows consumers to check the recall status of the vehicles, including the SaferCar.gov website and mobile application operated by NHTSA. Two days prior to any sale, dealers must provide consumers with a copy of the NHTSA recall status report for a vehicle with an unrepaired safety recall, and obtain a written acknowledgment from the consumer. Dealers must send notices to customers who have purchased vehicles with unrepaired safety recalls that are still unrepaired, from January 2016 to present. Manufacturers’ franchise dealers must also cover up to five days of a loaner car for consumers if their vehicle requires repairs that will take longer than one day. Each auto dealer will also pay a fine of $1,000 to New York State. Does that used car you're buying have an open recall?